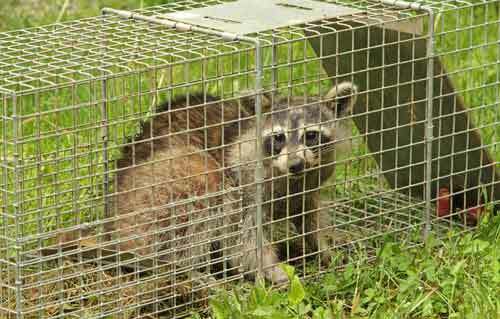 Our Certified Raccoon Trapping Technicians will ensure you have a Raccoon Free property and home. 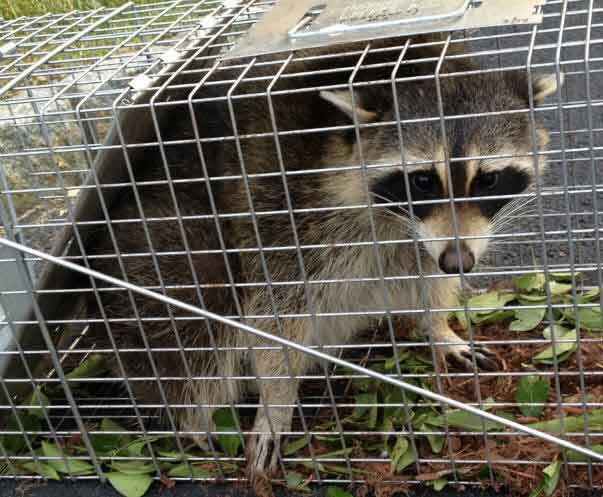 Our Raccoon Removal Technicians specialize in Trapping Raccoons. Let Us be your Raccoon Control Company you can rely on, Give Us Call Today. 1-844-305-8999. Property damage caused by raccoons is most commonly due to their desire to find food as well as their need to locate shelter. A raccoon will often try to find shelter in attics and other areas in your home or business. A mother raccoon and her kits have been known to pry up roofing tiles in order to gain access. Once inside, raccoons will leave behind urine and feces. Raccoon Removal is vital because destroy everything in the house. A raccoon living in an attic of a house will cause some major damage. Raccoons will rip apart ducts, tear up insulation on pipes, rip the insulating paper off the wall and chew on wires. 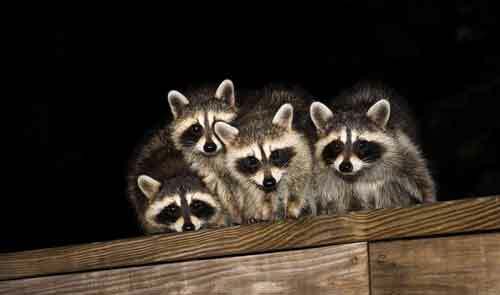 If you have raccoons in your home call our Raccoon Trapping Experts at Dependable Exterminating. We specialize in Raccoon Removal. Give Us A Call Today. 1-844-305-8999. The only real means of getting rid of raccoons is through raccoon trapping and removing as well as performing exclusion repairs to ensure that they do not return in the future. If a family of raccoons has moved into your property, Our Trained Raccoon Control Technicians are Experts in Raccoon Removal and in Raccoon Trapping. All trapping will be conducted using Havahart Traps. Havahart Traps are a durable, safe and effective way to capture the animal without harming it. A good raccoon trap is your best bet when it comes to raccoon removal. Dependable Exterminating Company has New York State Department of Environmental Conservation Certified Wildlife Nuisance Control Operators on staff to address your nuisance wildlife needs. All nuisance animals that are trapped are treated in accordance with the guidelines set forth by the NYS DEC. All animals that pose no threat to public safety are humanely released into their natural environment.